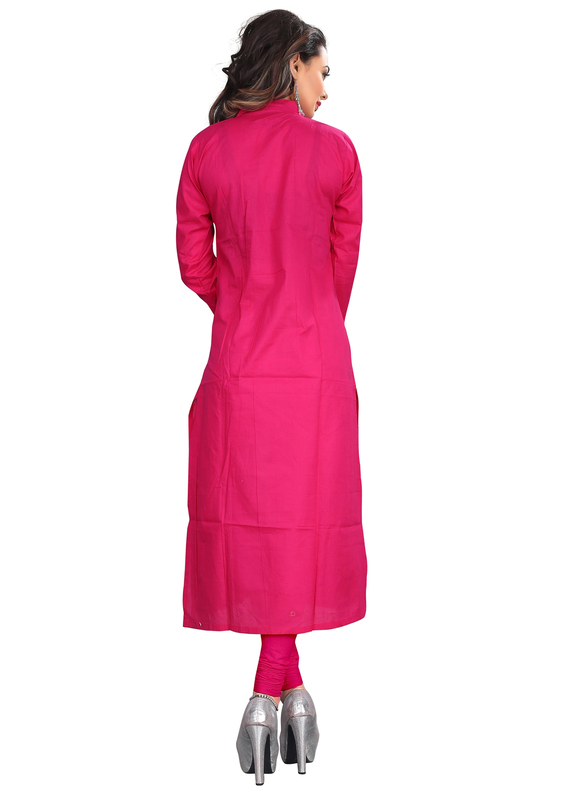 Spread the aura of freshness with this pink casual kurti. 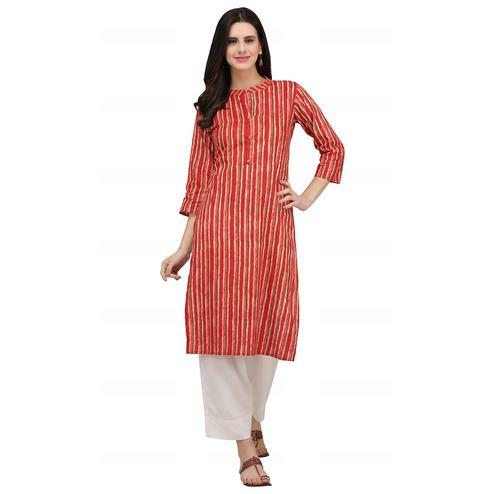 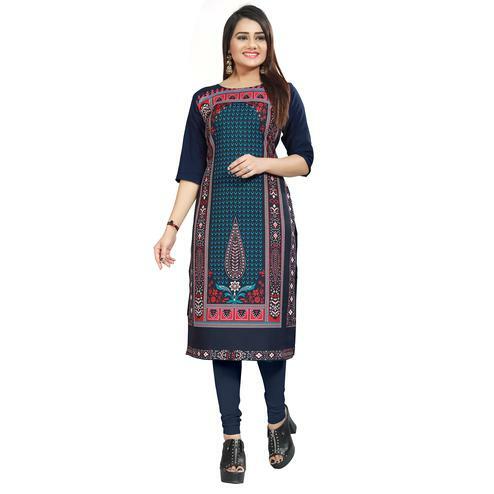 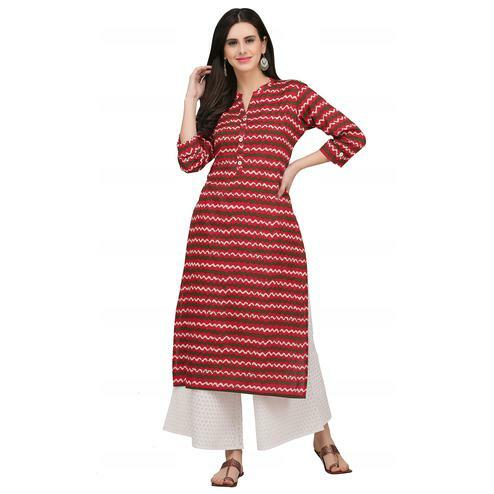 This ready to wear kurti is made from cambric cotton which is lightweight and assures the wearer a perfect fit & comfort and stylised with high neckline and three quarter sleeves. 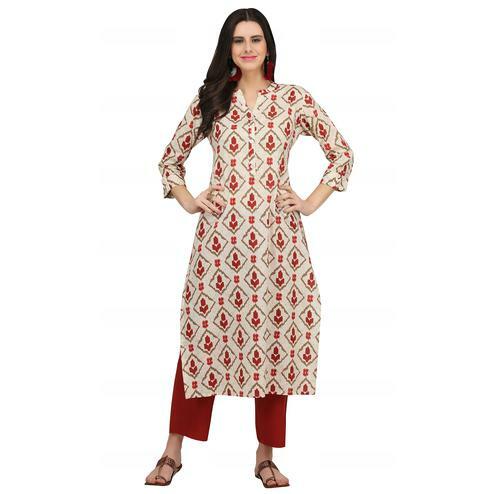 This ready to wear kurti is perfect for casual outing, casual wear, office wear. 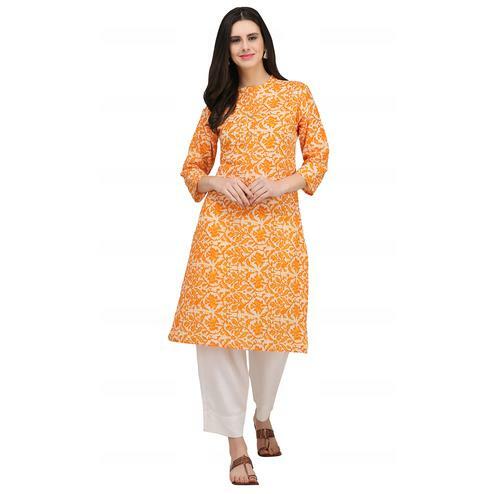 Team this kurti with different bottom i.e. 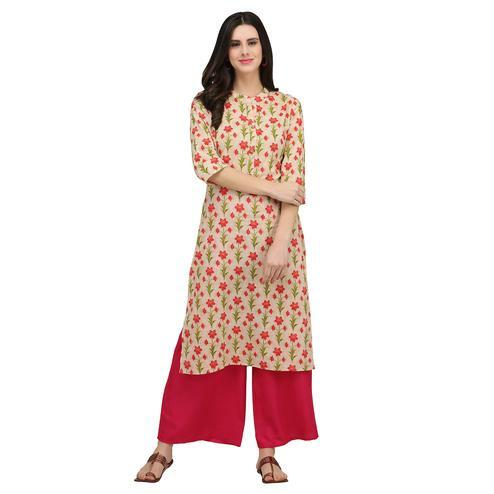 jeans, palazzo, Straight pants.